With all the recent wet and wild weather, it’s been a nightmare trying to maintain sleek and styled hair. Let’s face it, extremes of any element are bad news for our hair; the heat and sun can damage, lighten and dry out our locks, the cold makes them weak, rain makes them frizz and the wind ruins any sort of fixed style we were hoping to achieve! It can seem like a losing battle most of the time but as they say, looking good doesn’t come cheap. Now we don’t expect you to pay silly amounts but going up a brand level or two with your styling products could help you achieve (and keep!) to look you want. Here’s a run down of our favourite hair sprays for a firm hold on those windy autumn days…. 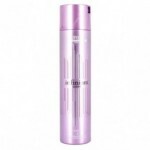 Alterna Caviar Extra Hold Hair Spray is a fast drying ultra firm spray that won’t leave your feeling stiff. Its fantastic humidity resistant formula makes it the perfect hairspray to take you from day to night. 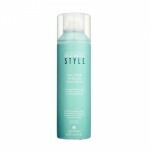 BAMBOO Style Ultra Hold Hair Spray provides long lasting, non-sticky firm hold for your style. Quick drying and humidity resistant. Bamboo extract and blue yucca root provide long lasting hold with natural fixatives. As the name implies, L’Oréal Infinium Force Spray offers extra strong and instant fixing of a section of hair or long-lasting overall hold. This one ticks the boxes against the wind and the rain. 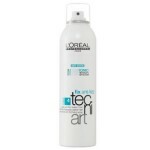 L’Oréal Tecni ART Fix Anti Frizz Spray provides up to 24-hour anti-humidity anti-frizz protection, with long-lasting hold. It’s easy to brush out and has no visible residue. 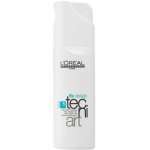 L’Oréal Tecni ART Fix Design Spray give you a strong, long lasting style. This pump action, directional fixing spray is essential for fixing those styles which need accurate application. Ideal for personalised and very sculpted styles. 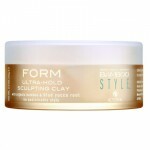 If you don’t like sprays, the BAMBOO Style Form Ultra-Hold Sculpting Clay is a great alternative. It creates a flexible but precise hold that you can mold and sculpt into any shape. The bamboo and blue yucca ingredients strengthen hair and protect it from the environment. For those of you looking for a more low maintenance look, why not embrace the elements and go for a messy, tousseled look? 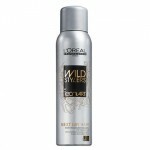 Tecni ART Wild Stylers Next Day Hair Spray from L’Oréal adds an instant texture boost and a matte effect. The more you apply, the more texture you create. Perfect for those days when you don’t want to fight the wet and wild weather. Best news of all is all these products are available right now from our online shop, some have even been reduced and you can save 10% off all orders in October! Shop to your hearts content and apply promo code ‘October10’ at the checkout. Remember, you can but online and collect in the salon, or click for delivery. If you have any questions about our online shop, ordering process or any of our products please email enquiries@haircarebyyorkshiresfinest.co.uk.